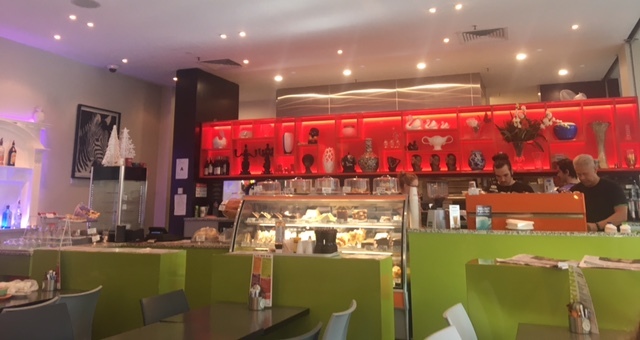 Cafe LOL is located in the Wall St Mall.The cafe is easily accessible with a pushchair and has plenty of space for the kids in the atrium next to the cafe. There are a couple of stairs leading down to the atrium but it is manageable with a pushchair. Cafe LOL ticks all the boxes for a child friendly cafe in the centre of town. The cafe has plenty of space with the atrium located next to the cafe with tables available which makes for a perfect location for catching up in small or large groups. Toys/seats are in the atrium for keeping the kids entertained and plenty of space for them to run around. A relaxed, welcoming atmosphere and the friendly staff are always accommodating and have been more than happy to heat up food bought from home for the smaller children. A breastfeeding friendly cafe. L'Affare coffee and yummy food on offer with both cabinet and menu options. Gluten free options available. 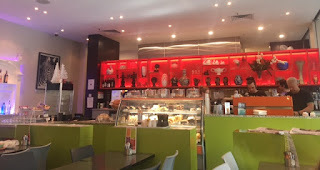 This cafe is definitely worth visiting next time you have a group of people with kids or need a caffeine hit inbetween shops.